Let's get straight to the point here - the Volkswagen Golf SV (short for 'Sportsvan' which it was previously called) is a rather peculiar car, occupying an odd niche within the VW model lineup. 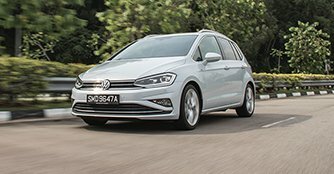 Back when it was first introduced in 2013, the Sportsvan was positioned as a family-friendly compact MPV, a more practical alternative to the standard Golf hatchback. Since then, there has been a clear and obvious explosion of SUVs in the market, and that is evident even within the VW lineup, with introduction of new models like the T-Cross and the T-Roc - all to satiate the increasing appetite for SUVs from customers. Thus, the Sportsvan has always had limited success, evident in its sales figures. In Europe, it sold 59,356 units in 2014, less than the number of Golfs sold in just two months, and about the third of the number of Tiguans sold that year. Fast forward to 2018, and the Golf SV has been refreshed in line with the rest of the Golf lineup. It enters the market very much with its back against the wall. The dropping of the 'Sportsvan' designation is a bid to reinvigorate the model's image - less 'van' and more 'Golf', as it were. Does it still have a place on our roads? Summarily, the Golf SV has been refreshed with many of the same elements as the rest of the Golf range. On the outside, you get redesigned bumpers front and back, LED head lights, as well as roof rails fitted as standard. Inside, the most notable update is the 9.2-inch Discover Pro infotainment system in Highline trim (8.0-inch in Comfortline trim). There's also a massive sunroof to let light in. 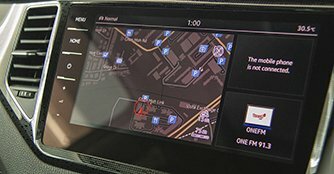 You will, however, notice that the dashboard is still the old analogue style one, instead of the new Active Info Display. 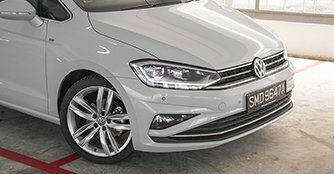 Safety equipment has also been updated, with the Golf SV now fitted with the latest generation proactive occupant protection system and blind spot monitoring system. Everything else, which is a very good thing. The cabin is still entirely familiar, comfortable and well-laid out. The quality of materials used is good, and on the go the car is quiet and well-insulated from the outside world. 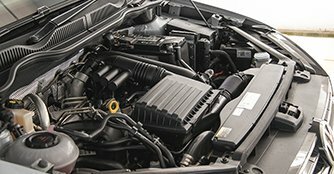 Power is drawn from the same 1.4-litre TSI engine, with 123bhp and 200Nm. It's perky and responsive enough for all manner of civic driving, and drivers will have no problems overtaking on the highway. The ride is excellent, with the soft-ish suspension offering good amounts of comfort. That said, body roll is still kept well in check for a car its size. It also drives with a fair amount of precision and accuracy uncommon in this class, which we put down to the MQB chassis that it shares with the Golf hatch. It also delivers on the practicality front. The 500-litre boot can be extended to 1,520 litres with the rear seats folded. There are folding tray tables behind the front seats, as well as multiple storage spaces for added stowage. Also, the rear seats can be adjusted 180mm forwards and backwards. Look across the automotive landscape and you won't find many other cars in this particular compact MPV segment. The Golf SV, then, stands rather uniquely alone in delivering the familiarity of Golf, visually and dynamically, while offering added utility and practicality. However, it's hard to escape the fact that the Golf SV is always going to be limited in its appeal. 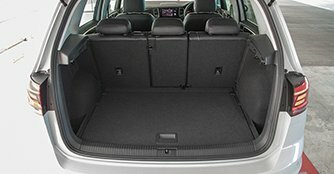 There's even a model within the Golf family that has a very similar brief of offering more space and practicality, in the shape of the Golf Variant. The Golf SV is a very competent and accomplished car in its own right. It packs ample utility, practicality and space to cater to a family of five. 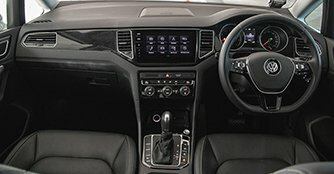 It's comfortable and easy to drive, packs sufficient shove from the engine, and is an effortlessly easy car to live with. You could even argue that it's a halfway house between a hatchback and a full-on MPV. The problem is that these days, halfway-house SUVs are everywhere. Halfway-house MPVs, not so much. It's a bit of a pity, because the SV is a very accomplished car in its own right, but victim to the changing demands and landscape of the automotive market. Should you buy one? We say yes because it's quite attractively priced at $125,400 (as of 9 November 2018), just about halfway between the top-spec Golf and the Golf Variant. Does it still have a place on our roads? Right now, definitely. For what it sets out to do, the Golf SV does it well. If it fits the bill for you, you should definitely go ahead and buy it, because we're not sure if it will still be present in the model lineup once the new eighth generation Golf is launched.